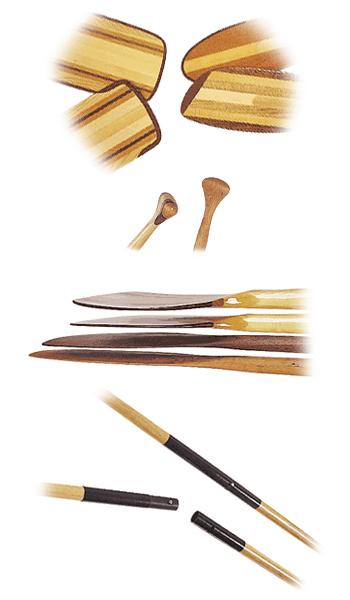 Grey Owl Paddles » What makes a Great Paddle? What makes a Great Paddle? Wood is nature’s own composite. As a naturally forming polymer, wood is comprised of long-chain, cross-linking cellulose molecules, bound together with lignum. This miraculous combination gives wood its unique properties of strength, stiffness, resilience, buoyancy, and durability. Because no two pieces are exactly alike, wood provides a broader range of individual ‘feel.’ A single model will vary in flex pattern, stiffness and action. This offers the consumer a wide range of choices when selecting a paddle. Of course, the beauty and feel of wood are unmatched. Ask any seasoned canoeist or kayaker why they love their wooden paddle and they will say, ‘It’s the feel.’ This affinity with wood is a love affair that prompts canoeists with day jobs to hang their wooden paddles on the wall of the office. When you take your wooden paddle on the water, you’re returning it to its natural habitat. What makes a great paddle is a combination of many things. A grip that fills the palm just so; a shaft that is smooth, oval, and doesn’t twist in the hand; a blade that knifes into the water without a ‘plop’; a lively action that pulls without a flutter or vibration; a balanced fulcrum that doesn’t feel like a shovel full of wet snow on the return phase of the stroke. Wood that looks beautiful and is lightweight in design, with a finish that gleams in the sunlight. And finally, an affordable product that has the durability to withstand the rigors of the sport. At Grey Owl, years of research, development and innovative ideas meet with engineering excellence to bring you the most advanced wooden paddles available. We continue to lead the industry with features such as our uniquely laminated exotic woods, or our models with urethane plastic tips and edging where you need it. Our respect for the past has led us to retain hidden plastic inserts in the tips of our one-piece wooden paddles. The blades are cambered with fine edges for maximum efficiency and tracking ability. The shaft is oval in design and made of either solid wood or a laminated wood composite to give just the right flex, strength and feel. 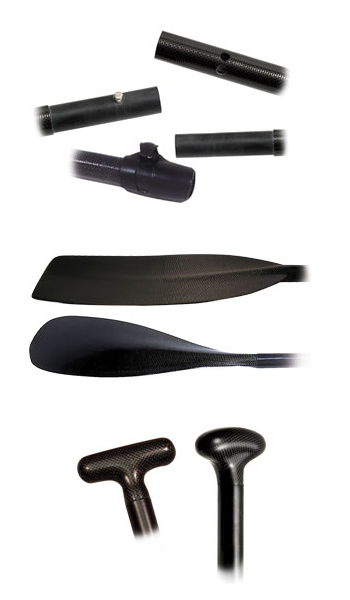 The grips are designed for hours of fatigue free paddling and come in a variety of shapes and sizes. Only the finest materials find their way into Grey Owl products. The wood, glue, varnish, etc. are all of the highest quality. Our kayak ferrules are machined to the closest tolerances possible to eliminate any wobble. With many different models, no matter what style of paddling you prefer, or what your size, there is a Grey Owl Paddle that will fit in your hand and ‘sing’ in the water. Durable, lightweight, stiff and sleek only begin to describe the new Grey Owl composites. Evolving from our very successful wooden paddle line, these new additions complement, rather than displace, our legendary wooden models. Though lacking some of the beauty, warmth and resilience of wood, the high-tech world of modern thermoplastics and composites offers some added dimensions not available in our more traditional wooden products. For those wishing to extend their paddling experience, our newest generation of paddles has incorporated design features that, in the past, have been difficult and expensive to produce in wood. High-tech, molded materials allow the designer to build a stiff, light, rugged paddle with knife-edged tips and dihedral blades with extreme curves. Though not indestructible, these durable paddles require little maintenance and generally are not subject to the minor repairs and upkeep of their wooden counterparts. Whether you are a serious racer, week-end warrior, guide, novice or seasoned tripper, we have a model that will excite your paddling sensibilities and satisfy your boating needs.